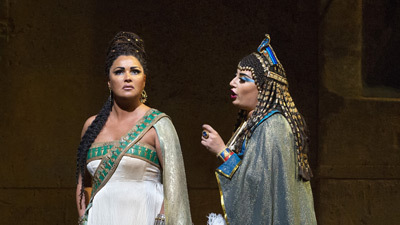 The Met’s spectacular production of Verdi’s Egyptian epic captures both the grandeur and the intimacy of this powerful tale of love and politics. 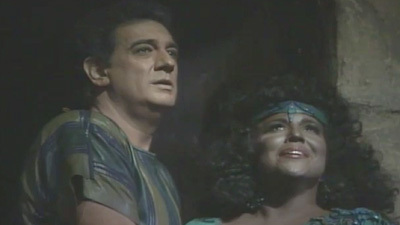 Liudmyla Monastyrska is Aida, the Ethiopian princess-turned-slave in love with the Egyptian warrior Radamès, sung by Roberto Alagna. 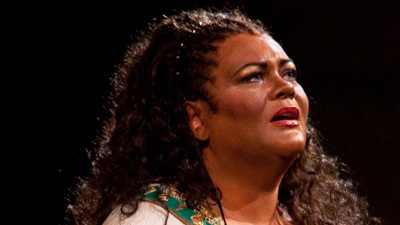 Olga Borodina is her rival, Amneris, daughter of the Pharao, and George Gagnidze sings Aida’s father, Amonasro, the King of Ethiopia. Principal Conductor Fabio Luisi is on the podium.